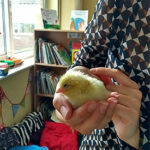 Year 2 are very excited about the newest members of their year group. They are a little on the small side, have lots of fur and come in two different colours. Can you guess what they are? 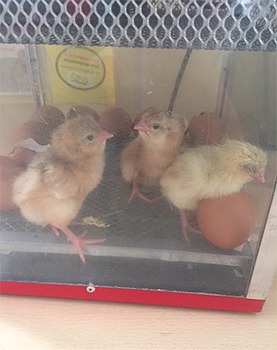 We have been learning about living things in Science and have been given the opportunity to observe how chicks are born and what they do in order to grow and survive. 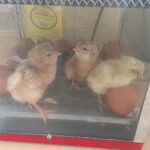 We have observed our chicks’ progress this week. Have a read below to see how they are getting on. 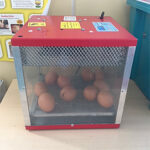 We had ten eggs delivered in an incubator, which were close to hatching. 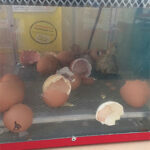 Some eggs had cracks on them so we were anticipating some action rather soon! 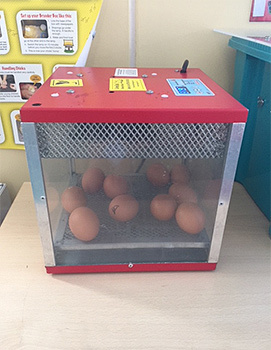 The incubator is heated to almost 40 degrees to keep the eggs warm. There was a water tray beneath them to keep the air humid. We have two chicks! 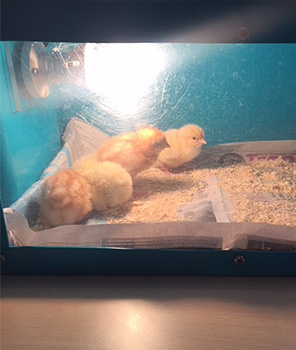 Miss Weaver discovered our new chicks early in the morning before school. Their skin was very damp and they were wobbly on their feet as this was their first time walking. They were chirping to each other and providing us with lots of entertainment. 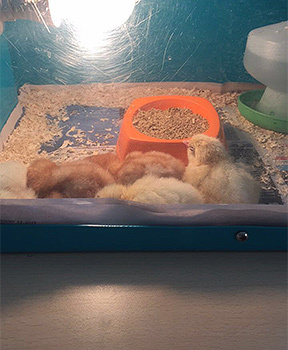 Am - We are up to five chicks now! 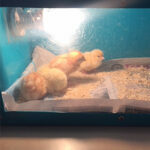 We transported them into a brooder, which is a larger box that acts like a mummy to the chicks. It has a light for warmth and has food and drink that the chicks can feed on. They are now very fluffy (and extra cute!) and like to sleep together underneath the light. 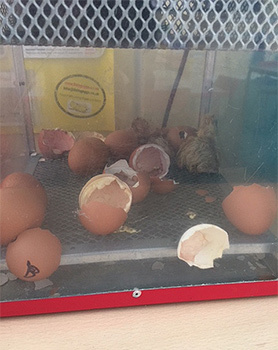 We have five eggs left to hatch. Pm – We had two new deliveries this afternoon. 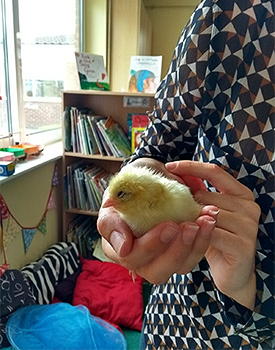 We were so lucky to witness a chick hatching right before our eyes! 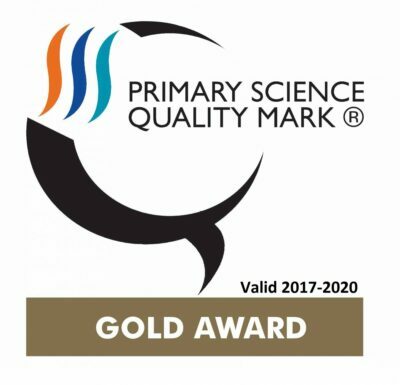 Nature really is incredible, isn’t it? 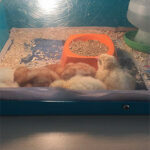 We were amazed at the difference between the fur on the newborns compared to the chicks in the brooder. Let’s hope that we have three new chicks in the morning.